BUS ~ 300 dinar 40 min ride make sure you say train station and dont go with the flow of ppl or u will make a mistake and go down at bus station. TRAIN ticket ~ around 50 eu for 2 seats only, try to get the sleeping room which will be more probably 60-65 eu (2 persons) , 11-13 hrs travel time depending on how long the Serbian and Montenegro border checks last. JULY 17 BAR, Montenegro ~ 5 min to bus station walking , Bus ticket 9 eu, dont take Stevan or any bus company that has a name, it means its old type buses. GOING TO budva don’t miss taking a look at Sveti Stefan. So sit at the.left side of the bus, ocean side. You can take a pic from the bus but it doesnt stop there. Walked around the old city, it was a 15-20 min walk from our street. The streets going to the old city were lined with bars, clubs, fast food, shops and even like a feria/peria (?) in pinas its like theres mini roller coasters, games, ferris wheel etc. We had to move to Anna’s guest house-30 eu or 33-35 eu, check in 12pm and chck out 11am, it has a big Labrador. The room is smaller but balcony is nicer with tables and chairs. 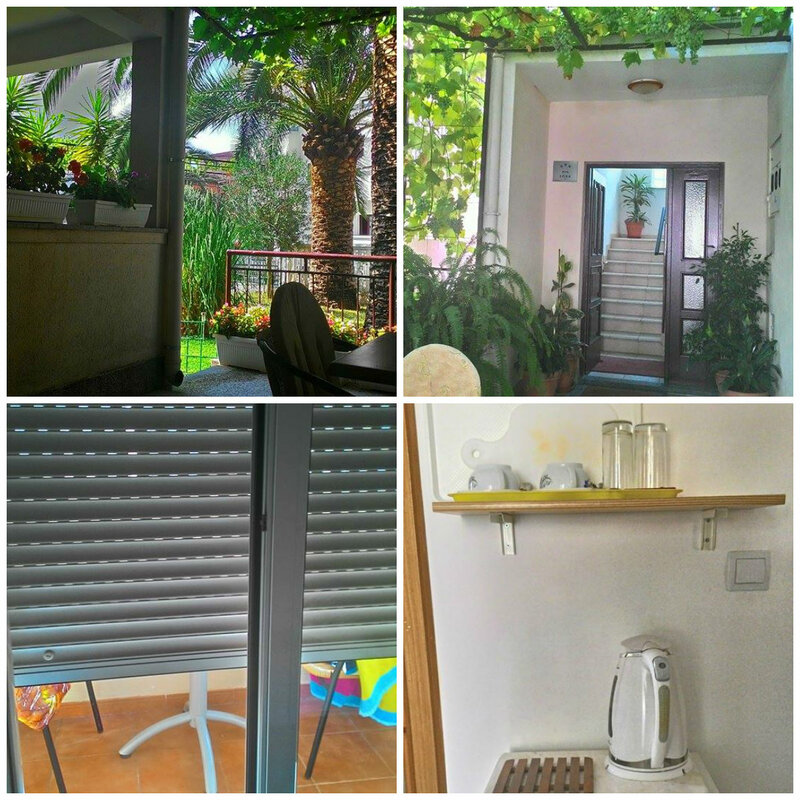 This time the cups for tea is bigger, has electric kettle, knife, bottle/wine oppener, fridge, no safe, aircon, good sized bed, tv, blinds for the balcony door to keep it.dark. 4.90eu – pork and mix veggie, tasted like afritada, they said it was spicy but it was mild. Lemonade ~ 1.50 but worth it coz its so sour, they ddnt skimp on the lemon. You will need it to flush out all the salt. After settling in Anna GH and havin a rest we went to the beach to catch a boat ride 15 eu. You get to see Sveti Stefan up close (not as.impressive as the road view) you also get dropped off an island near the coast of budva. Its a stone beach but you get a view of the old.city. Eating at Anna GH was nice bec ofthe mountain view. We got some reasonably priced food for tea (sweet pastries with coconut, cream and choco), dinner and bfast by buying at bakeries, grocery store, fruit stands and meat shop with grill. KRIS got patty with spices. I got chicken some grilled chicken burger, it’s bun was so good. We also had watermelon 1.10eu, 1/8. Really nice refreshing dessert and we still had some left for bfast. We packed to go to Kotor. BUDVA Bus station is the greenest bus station ive been to it’s full of plants and fountains. Really nice to be welcomed with it and makes you sad to leave. Bus is small but nice inside with aircon, theres luggage stickers that cost 1eu tho. Arrived at Kotor, tried to get inside the old city 10 min walk but mistakenly took the long way inside and was able to get to Oldtown hostel 20 eu/person 5 min. Had to wait for our rooms. Cute cat at the reception. Our room was at the very top floor, we got the bunks at the top. in the PM we Went to Herzeg Novi by bus 7eu 1.5 hr. ~ not worth it. It was so hot and the place almost deserted. I had a bite to eat~9 eu pasta, coz I felt so weak that I fell and almost twisted my right ankle. Be well hydrated and EAT even when youre not hungry since its so hot it can mess up the signals in your body. We ate pizza at a restaurant~9eu an very sour lemonade 2eu in old city, view was good since it was besides a church and a bit of fort with lights can be seen. Then we walked around and went to the grocery store to buy wine. We bought blueberry wine 4.5eu. It tasted like juice bt it has 4% alc. WEATHER: Ridiculously hot…hot as Hades… sooooohot. Eat bananas and dont mind the salt in your food to keep your electrolytes in check. 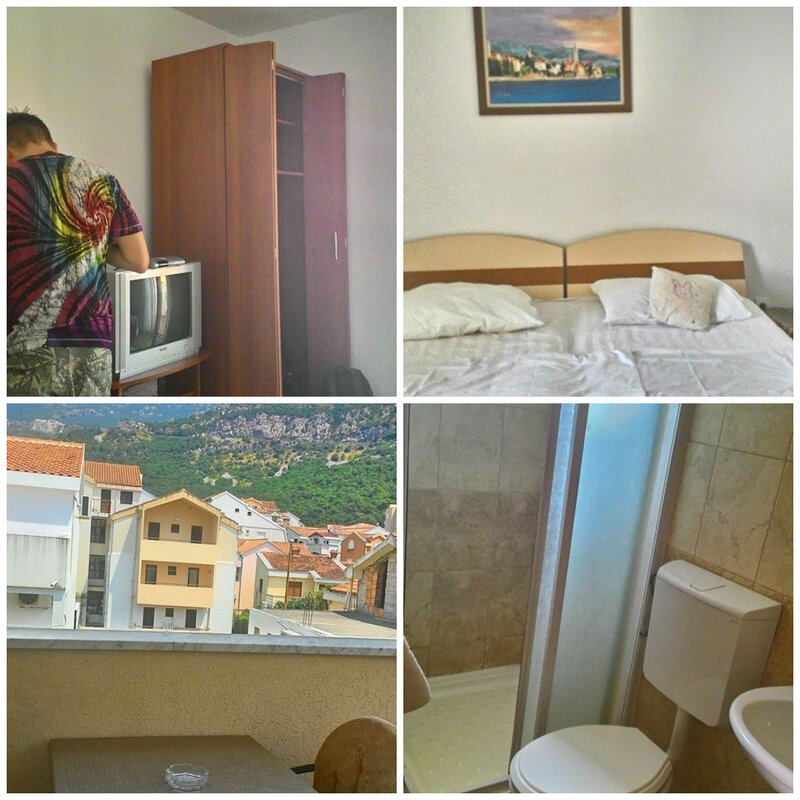 Posted on August 3, 2015, in TRAVEL~down the rabbit hole we go and tagged Anna's Guest house in Budva Montenegro, Apartments to rent in Budva, backpacking, Bar Montenegro, belgrade train station, Budva, Budva Montenegro, Bus fees in Montenegro, Buses in Montenegro, how to travel from Serbia to Montenegro, How to travel in Montenegro, Kotor, Kotor Montenegro, Old Town Hostel, Old Town Hostel in Kotor, Sun Apartment in Budva Montenegro, Train fees in Serbia, travel, travel Serbia to Montenegro, what to do in Budva. Bookmark the permalink. Leave a comment.